"Love reading Real Stories by other people? Or maybe got Your Own Story to tell? Why not explore our Lake Garda Forum ..."
This Lake Garda forum is dedicated to you and written by you too! Lake Garda is such a stunning place it evokes many fantastic memories, for those of us who have been priveleged to be there! Just thinking about it now, puts a big smile on my face and take me back to many glorious days spent by this beautiful lake! We know so many of you love this place, because we receive hundreds of glowing emails about Lake Garda! You can simply read what others have said or why not get involved and send us your amazing Lake Garda story! Share your great story on our Lake Garda forum and we'll dedicate a page to it and you'll feature right here on this website, on your own page! We love to hear all your stories, but we know so many others would love to read all about your story too! Wouldn't it be fun as well, to show your friends and family your very own story, on a popular Lake Garda website? There are so many awesome things to talk about! The best hotel you have ever stayed in? The most amazing shop? The tastiest food ever? The most extreme sport? The most stunning roads you have driven on? The list could go on and on! Whatever your really special story is, why not share it on our Lake Garda forum? Or maybe you have a question to ask about Lake Garda? Perhaps some one has already answered it in our FAQs section? If this is what you are after, simply scroll down to the bottom of this page and click on the link. We love Lake Garda a lot! Tell us how much you enjoyed it and why. Take a look at the areas of our forum and click on the link you are interested in, to either read other people's stories, or to get involved. We would love to hear from you and can't wait to see what stories you have got! Go on all you Lake Garda visitors, you've all got a story to tell! It's so easy just fill in the title, write a story (attach pictures if you wish) and send it! We love your pictures, so please send them if you have some! As they say "a picture says a thousand words"! Why not send in pictures with you doing the particular activity you are writing about. This way you will literally be on our website and people can see what you are talking about too! Have You got a Question to ask about Lake Garda? 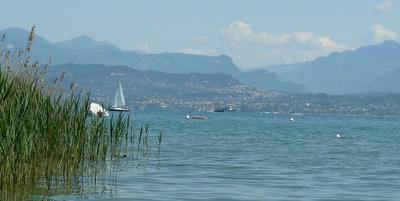 This is our most popular page and features wide ranging Lake Garda topics. Take a look, you may just learn something new! (Please be aware we have moved some travel related topics to new threads in the travel section recently). Or why not take a look at specific Lake Garda Forums below? Accomodations - Tell us about where you stayed! Hotels - Which is the best hotel on Lake Garda? Villa - Which is the most stunning villa? Residences/Apartment - Which is your favourite here? Agriturismo - Enjoy country living? Share your story! Camping - Which campsite in the best on Lake Garda? Travel - What amazing things have you seen on your travels? Travel - What are the best ways of getting to and around the Lake Garda area? Driving - What is the most spectacular drive around Lake Garda? Excursions - Which excursion is the best? Places to Visit - There are many stunning places here! Towns - Which is the best town on Lake Garda to stay at? Leisure - Had a really fun day out? Family day out - Which is best? Sport - Which sport gives you the big rush? Extreme sport - What is the most adrenalin filled Lake Garda sport? Food & Drink - Our favourite subject! What about you? Lake Garda food - Which is the best dish? Restaurant - What is your favourite restaurant at Lake Garda? Ice Cream - Which is the yummiest ice cream? Wine - Share with us your best Lake Garda wine experience! Shops - We know you love to shop!! Best shop - Where is the best place to shop at Lake Garda? Shoe shop - There are so many shoe shops. Which do you like best? Clothes shop - Which is the most amazing clothes shop? Entertainment - Had a great night out? Entertainment - What is the best entertainment at Lake Garda? History - So much amazing history here! Historical fact - Which is the most fascinating Lake Garda fact? Do You Have an Amazing Lake Garda Story? Do you have an amazing Lake Garda story, but it doesn't fit into any of the above categories? Well share it anyway and we'll probably feature it on this page and may even get in our newsletter too! How good would it feel to show your friends and family your own Lake Garda story on a well respected Lake Garda site! We love pictures as well, so feel free to send us your best shots and there will be no mistaking you then!